I hate having to pay for "that time of the month" supplies. Since you just throw them away. So any time I can get free samples I'm a little happier! 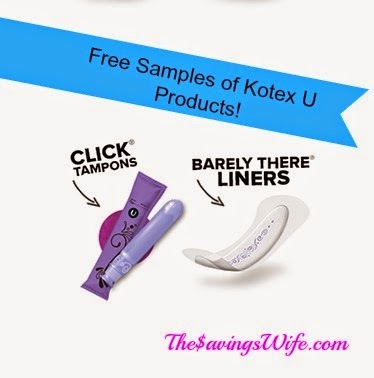 Check out this free sample for Kotex U tampons or Pads! Get your free sample of Kotex U! Choose from 6 different Kotex U sample packs! You can only choose one. Your sample of Kotex U will arrive in 6 to 8 weeks! Get more Beauty Free Samples! Get even more Free Samples!